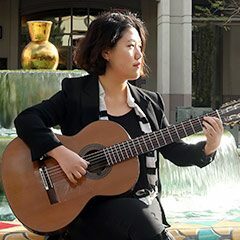 Classical Guitarist and USC Thornton doctoral candidate Bokyung Byun has won first place and Musician’s Choice in the JoAnn Falletta International Guitar Concerto Competition, one of the world’s top events for guitarists. 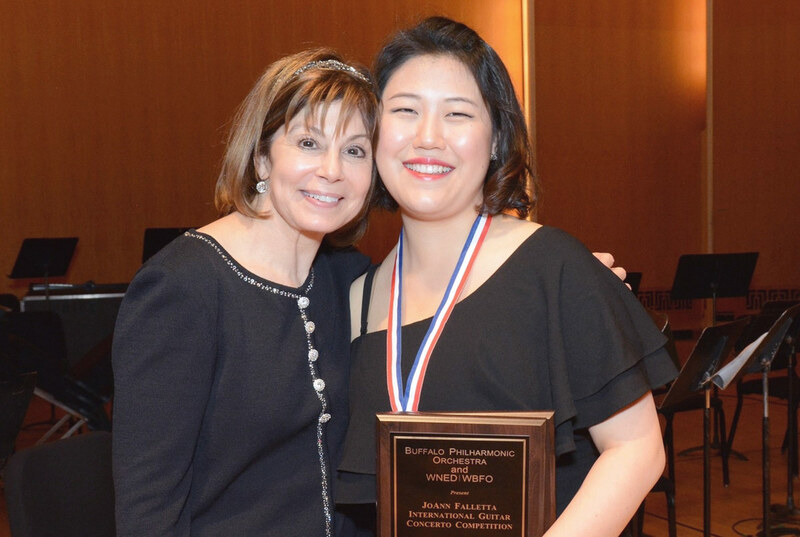 The biennial competition, hosted by the Buffalo Philharmonic Orchestra of New York state, featured eight semi-finalists in performance with the orchestra under music director JoAnn Falletta. Byun, a native of South Korea who studies with Scott Tennant as a USC International Artist Fellow, will receive a cash prize, a recital engagement in Milan, Italy, and a future concerto performance with the Buffalo Philharmonic. She is the first woman to win the prestigious competition. Thornton alumnus Jack Cimo (BM ’11) was also one of eight semi-finalists in the competition.